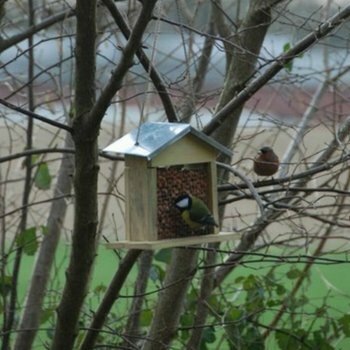 This simple yet effective peanut feeder from Ruddick Garden Gifts is made from pine wood and has a zinc roof and wire mesh. It comes complete with hanging chain so it is ready to be placed anywhere in your garden. A great gift idea for you and the birds!